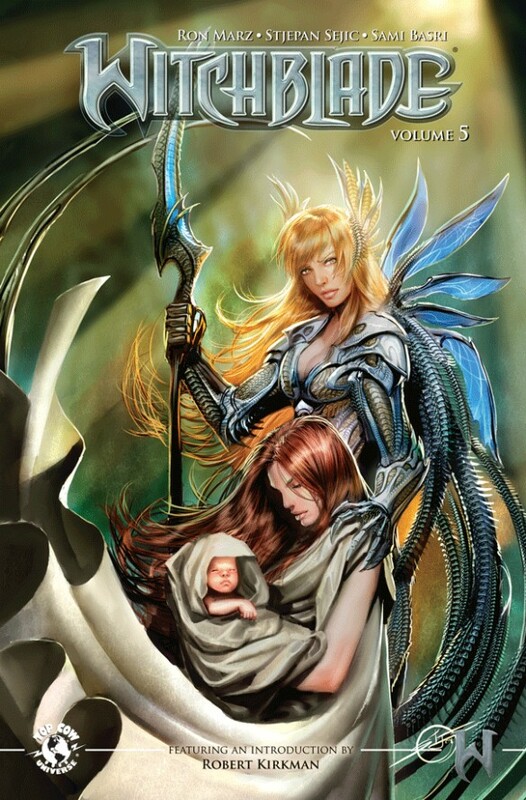 Collects Witchblade #110-115 and First Born #1-3!This volume features last summer's crossover hit, First Born, its tie-in issues, and several issues dealing with Dani Baptiste and Sara Pezzini's lives after the universe-altering event. Showcased in this volume are current Witchblade ongoing artist Stjepan Sejic, Stephen Sadowski (JSA, Project: Superpowers), Luke Ross (Indiana Jones), Rick Leonardi (Action Comics), and Sami Basri (JLA: Classified). Plus, this trade paperback features a brand-new painted cover by Sejic!